Saturday 31st August 2013 – 9.30am – Suzie Fothergill. Two teenagers have been injured following a road traffic collision in Coventry today. West Midlands Ambulance Service was called to Hales Street, St. Michaels in Coventry at approximately 12.40am this morning. Two ambulances, a paramedic area support officer and a community first responder were dispatched to the scene. A West Midlands Ambulance Service spokeswoman said: “On arrival at the scene crews found two cars that had been in collision. One of the vehicles (pictured)had overturned on to its side. “The car that was found on its side was carrying five female occupants at the time of the incident. All five were out of the vehicle on the crew’s arrival. “Two teenage girls from the car were treated at the scene. One had sustained a collarbone injury, whilst the other was suffering from neck and back pain. “Both girls were fully immobilised and conveyed to University Hospital of Coventry and Warwickshire for further assessment and treatment. Friday 30th August 2013 – 10.00am – Murray MacGregor. 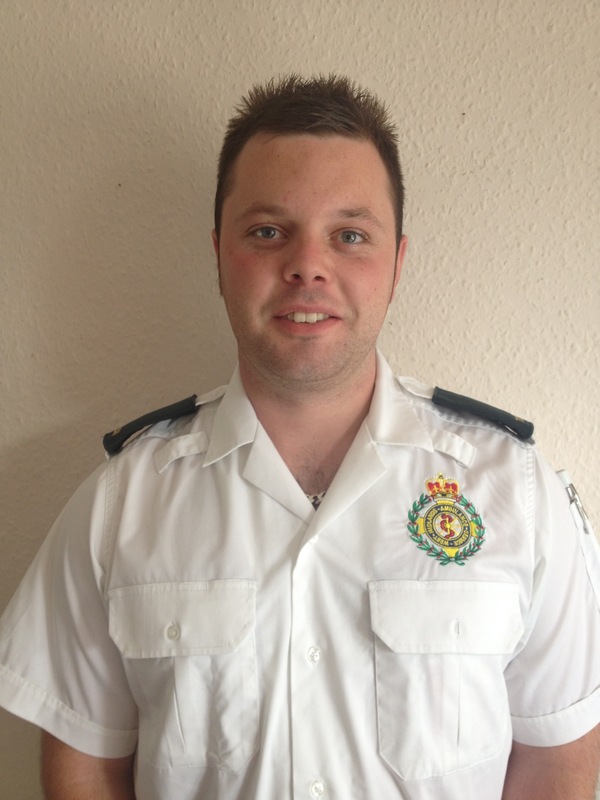 When Daniel Egan first joined West Midlands Ambulance Service (WMAS) as an apprentice with the non-emergency Patient Transport Service he had no idea of the positive opportunities it would create for him. Daniel, who is 22 and from Tamworth, initially worked with ambulance colleagues taking patients to Heartlands, Good Hope and Solihull Hospitals. During that period he built excellent communication skills between himself and patients which is an essential skill. However, that was only the start of his career in the ambulance service. Not only did he complete his apprenticeship he decided to take his calling to the next level by joining the emergency side of the ambulance service applying for and successfully being taken on as a Trainee Ambulance Technician based at the WMAS hub in Coventry. For the Trainee Technician post, Daniel embarked on eight weeks of clinical training followed by three weeks of intensive blue light driver training allowing him to be fully qualified to drive ambulances on blue lights. Daniel who previously worked at a Call Centre and Nightclub said that starting out as an Apprentice has brought about a positive outlook for him. “I had to complete and pass my training to be accepted as a Trainee Technician. I still need to complete 750 hours of supervised practice and build a portfolio of work and take a final assessment before becoming a fully fledged ambulance technician. “I love my job; I enjoy all of it and I look forward to going to work. Every day provides new and exciting challenges for me. Daniel’s long term outlook is to become a paramedic. The closing date for all three is Tuesday 9th September 2013. Thursday 29th August 2013 – 5.15pm – Claire Brown. Despite a van ending up on its side, facing the wrong way on a dual carriageway, its two occupants have escaped with only minor injuries near Warwick this afternoon. West Midlands Ambulance Service was called to the A46, Hampton-on-the-Hill, shortly after 3.30pm earlier today (Thursday). Two ambulances and a paramedic area support officer attended the scene. A West Midlands Ambulance Service spokeswoman said: “When crews arrived they found a van, pointing the wrong way on its side, and a lorry which had been involved in a collision. “Fortunately, the two occupants from the van, men in their 20s and 30s, suffered no serious injuries. Crews assessed the men at the roadside, treating a few minor injuries, before discharging them from care at the scene as they didn’t require further hospital treatment. West Midlands Ambulance Service currently has a number of job vacancies across the West Midlands Region. 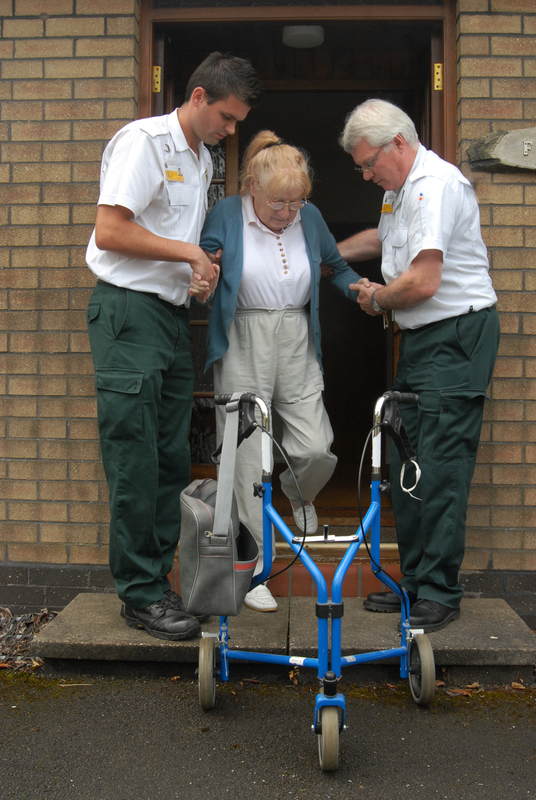 Patient Transport Services (PTS) is the non-operational side of the ambulance service. We provide transport, to and from regular hospital appointments, to around a million patients each year. If you want a change of career which is rewarding, why not join PTS? We’re also on the look out for a Business Administration Apprentice to join the Trust’s Information Technology Department. If you’re fresh out of school or college and computers are more your thing, this one year apprenticeship is a great way to start your career. For more details about our current job vacancies please visit http://www.jobs.nhs.uk/cgi-bin/advsearch?vpd_code=217. Thursday 29th August 2013 – 8.30am – Chris Kowalik. 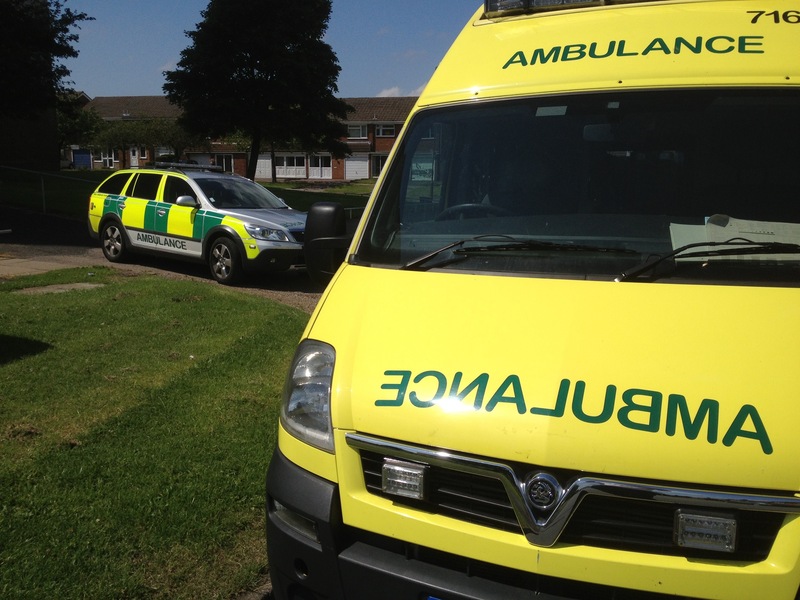 A pedestrian has been seriously injured in a collision with a car in Stoke-on-Trent. 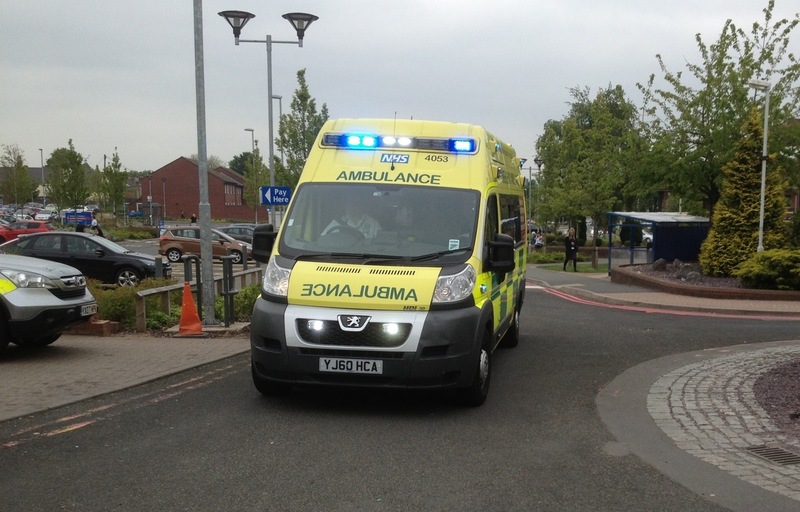 West Midlands Ambulance Service was called to Potteries Way, Hanley shortly after 9.20pm last night (Wednesday). A paramedic area support officer, a senior paramedic officer and two BASICS emergency medics attended in their respective rapid response vehicles along with an ambulance crew. A West Midlands Ambulance Service spokesman said: “The man in his forties had suffered head, leg and pelvic injuries. Wednesday 28th August 2013 – 16.30pm – Lucy Knowles. Three people have been injured following a road traffic collision involving three cars near Ettington. West Midlands Ambulance Service was called to the junction of the A422 and B4455 shortly before 12.55pm today. Two ambulances, a paramedic area support officer in a rapid response vehicle and Warwickshire and Northamptonshire Air Ambulance were dispatched to the scene. A West Midlands Ambulance Service spokeswoman said: “Crews arrived to find three cars that had been in collision. All three patients were female and there was one patient to each car. “The first patient, a woman in her 30’s, suffered multiple injuries including pelvic, abdominal and head and neck pain. She was air lifted to the University Hospital of Coventry and Warwickshire. “The passenger of the second vehicle, a woman in her late teens, had sustained minor injuries. Crews treated her at the scene before she was discharged. Wednesday 28th August 2013 – 9.50am – Chris Kowalik. A man has died after the car he was driving collided with a tree and overturned in south Staffordshire. West Midlands Ambulance Service was called to Rowleyhill Drive, Lapley shortly before 4.50am today. A community paramedic, a paramedic area support officer and the MERIT trauma team all attended in their respective rapid response vehicles along with an ambulance crew. Tuesday 27th August 2013 – 10.50pm – Chris Kowalik. 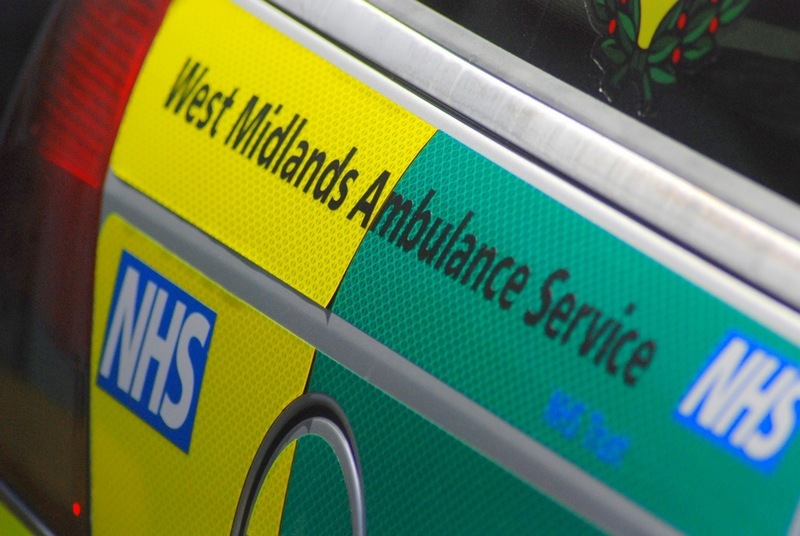 A five year old young girl has been seriously injured in a collision with a van in Walsall. West Midlands Ambulance Service was called to Cartbridge Lane South shortly after 7.15pm today. An advanced community paramedic, a paramedic area support officer and the MERIT trauma team of a trauma doctor and a critical care practitioner all attended in their respective rapid response vehicles along with an ambulance crew. Tuesday 27th August 2013 – 9.30am – Claire Brown. One woman has died and another has been seriously injured in a two car road traffic collision in Birmingham last night. West Midlands Ambulance Service received several 999 calls last night to the junction of the B4217 Shaftmoor Lane and Reddings Lane, Hall Green, shortly after 11.30pm (Monday). Two ambulances, a responder paramedic, a paramedic area support officer and a MERIT trauma doctor attended the scene. A West Midlands Ambulance Service spokeswoman said: “Crews arrived to find two cars that had been in a significant collision. The passenger of one car, a woman, was in cardiac arrest and was being given CPR by police officers at the scene. “Crews and the doctor took over resuscitation attempts and continued advanced life support on the woman. Sadly, despite efforts, nothing could be done to save the woman and she was confirmed dead on scene a short time later. “The driver of the same car, a woman believed to be in her 50s, sustained a serious chest injury. She was given pain relief before crews and the doctor worked with the fire service to extricate her from the wreckage. “The woman was immobilised before being taken by land ambulance on blue lights to Queen Elizabeth Hospital Birmingham, the regional trauma centre, for further emergency treatment. Notes to Editors: I have no further details regarding this case. Please contact West Midlands Police for more information. Tuesday 27th August 2013 – 8.00am – Claire Brown. Two women have been injured, one seriously, following a collision involving a quad bike in Walsall yesterday evening. 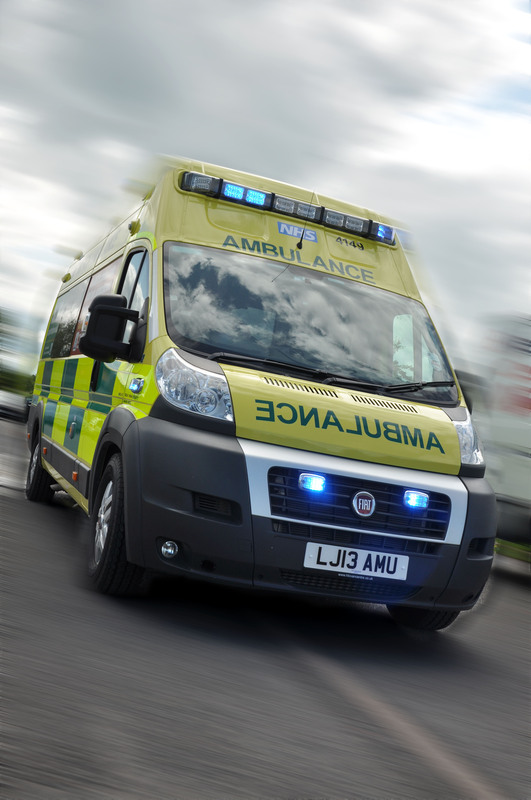 West Midlands Ambulance Service was called to reports of two people who had come off the quad bike they were riding on High Street near a church in Bloxwich shortly before 9.00pm last night (Monday). Two ambulances, a responder paramedic, a paramedic area support officer and a MERIT trauma doctor attended the scene. A West Midlands Ambulance Service spokeswoman said: “One woman sustained a serious head injury, a fractured leg and suspected pelvic injuries and was unconscious. Crews and the doctor administered drugs and ventilated the woman to help with her breathing before she was immobilised with a neck collar, spinal board and leg splint. “Crews conveyed the woman by land ambulance on blue lights to Queen Elizabeth Hospital Birmingham, the regional trauma centre, for further emergency treatment. Monday 26th August 2013 – 6.15pm – Claire Brown. A motorcyclist has died following a road traffic collision in Shrewsbury earlier today. The incident happened on the A49 in Dorrington at around 12.30pm this afternoon (Monday). Two ambulances, a paramedic officer and the Midlands Air Ambulance from Cosford with a MERIT trauma doctor on board attended the scene. A West Midlands Ambulance Service spokeswoman said: “On arrival at the scene crews found a motorcycle and van that had been involved in a significant collision. “The motorcyclist, a man, had sustained a serious head injury. Whilst crews and the doctor began to assess and treat the man, his condition worsened and he went into cardiac arrest. “They quickly commenced advanced life support at the roadside but, despite resuscitation, the man’s condition quickly deteriorated and he went back into cardiac arrest. CPR and defibrillation continued in the helicopter en route to University Hospital North Staffordshire. “Sadly despite the best efforts of ambulance crews, the MERIT doctor and hospital medics, nothing could be done to save the man and he was confirmed dead shortly after arrival at hospital. Monday 26th August 2013 – 6.00pm – Claire Brown. 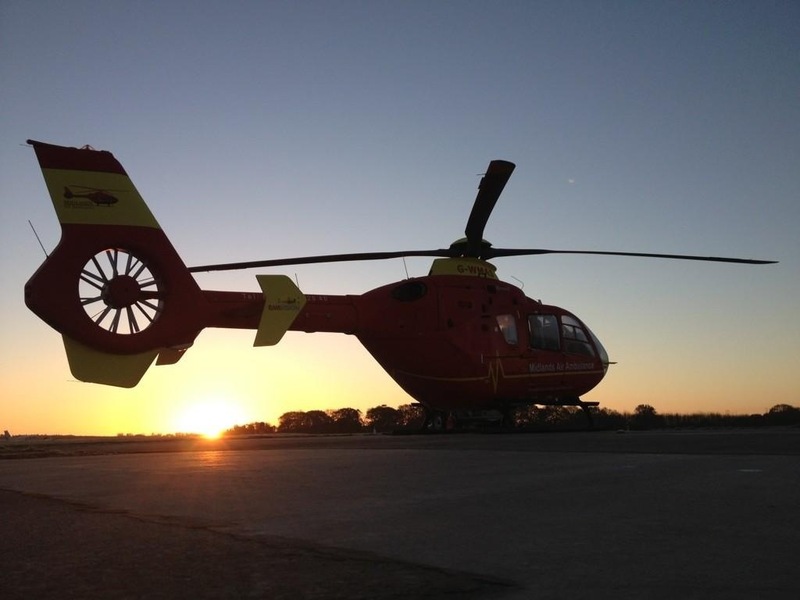 A man has been airlifted to hospital after suffering a cardiac arrest in Herefordshire this morning. 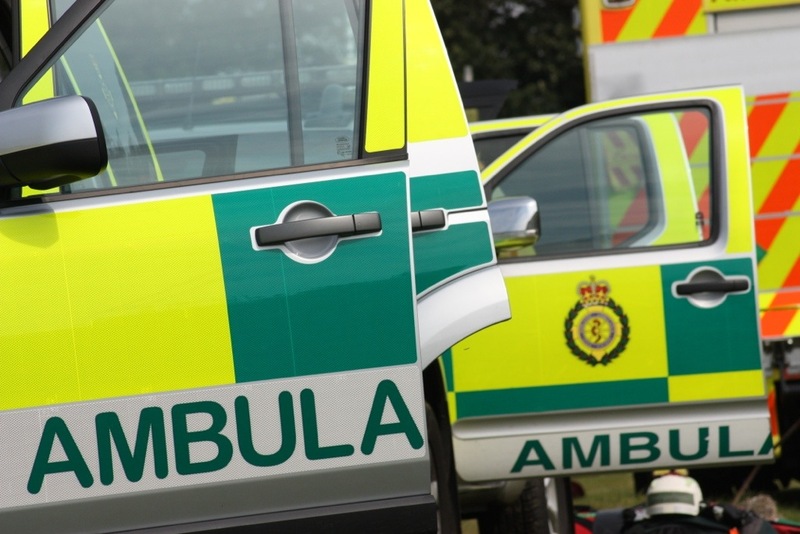 West Midlands Ambulance Service was called to an event in Deer Park within the grounds of Eastnor Castle in Ledbury shortly before 9.00am today (Monday). An ambulance, a responder paramedic and the Midlands Air Ambulance from Strensham together with a responder paramedic from South Western Ambulance Service attended the scene. A West Midlands Ambulance Service spokeswoman said: “Crews arrived on scene to find a man in cardiac arrest being given CPR by bystanders. Crews took over resuscitation efforts and continued CPR as well as shocking the man’s heart several times with a defibrillator. After four shocks, the man’s heart restarted and he began to breathe on scene. Sunday 25th August 2013 – 1.05pm – Chris Kowalik. A man has died after the motorbike he was riding collided with railings in Halesowen. West Midlands Ambulance Service was called to the junction of Coombs Road and Amber Way shortly before 6.50pm yesterday (Saturday). An advanced community paramedic in a rapid response vehicle, a paramedic area support officer in a rapid response vehicle, an ambulance crew and the MERIT trauma team in a rapid response vehicle attended. Saturday 24th August 2013 – 7.10pm – Chris Kowalik. A man who fell from his mountain bike in south Shropshire hitting his head avoided being knocked unconscious by his helmet. He fell from his bike at a mountain biking event off Lower Wood Road, Ludlow to where West Midlands Ambulance Service was called shortly after 4pm today. A West Midlands Ambulance Service spokesman said: “The event’s on-site medical team had already immobilised the man who is in his thirties. He was said to have fallen from his bike while going downhill at speed. He hit his head and his helmet was badly damaged; cracked in three places, but he hadn’t been knocked unconscious. 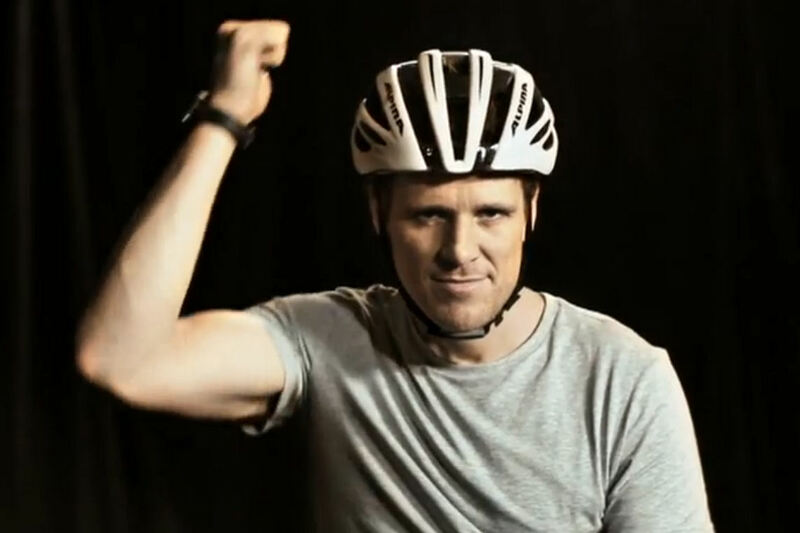 Although wearing helmets would have been compulsory at an organised event, an incident such as it shows why it is important for all cyclists to wear them. Saturday 24th August 2013 – 5.45pm – Chris Kowalik. Three people have been taken to hospital following a collision involving three cars that led to the temporary closure of the Collector Road in Castle Bromwich. An advanced community paramedic in a rapid response vehicle, a paramedic area support officer in a rapid response vehicle and three ambulance crews attended. 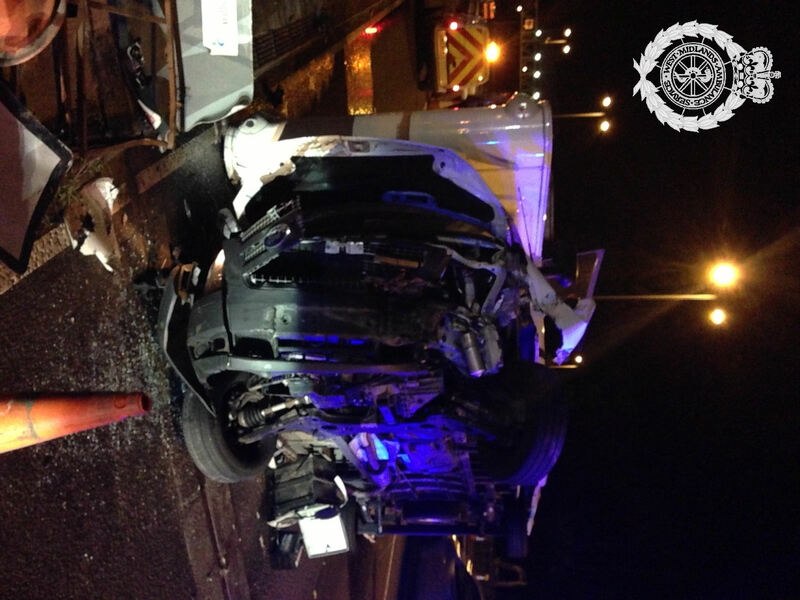 A West Midlands Ambulance Service spokesman said: “One of the cars had overturned. In it were two women who had been freed with the help of bystanders prior to the arrival of crews. They had cuts and bruises, they were both immobilised at the scene and taken to Heartlands Hospital under alert as a precautionary measure due to the serious damage sustained by the car. “A man in the second vehicle who had been freed by the fire service had sustained abrasions and was taken to the same hospital. Friday 23rd August 2013 – 9pm – Chris Kowalik. 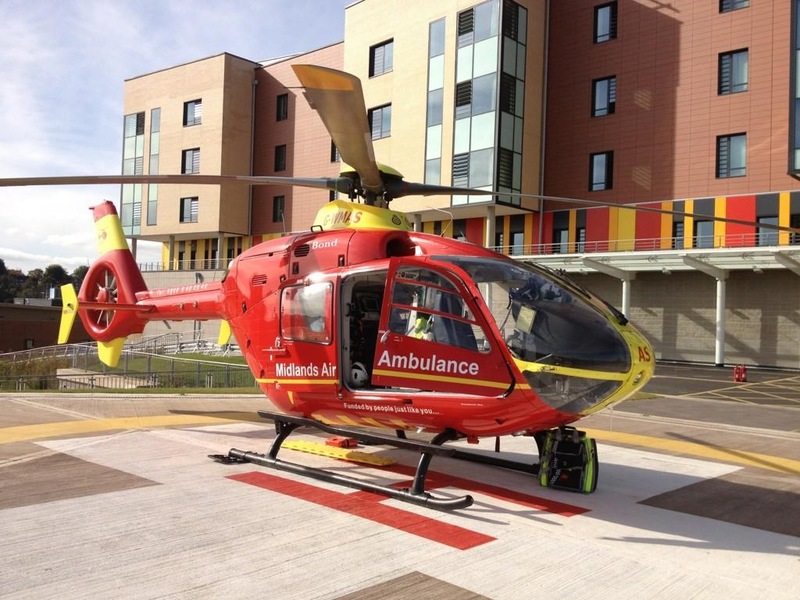 A motorcyclist has been airlifted to hospital after a collision with a car in Warwickshire. West Midlands Ambulance Service was called to the B4451 at Gaydon shortly after 3.45pm today. A rapid response vehicle, an ambulance and the Midlands Air Ambulance from Strensham in Worcestershire attended. Friday 23rd August 2013 – 4.30pm – Claire Brown. 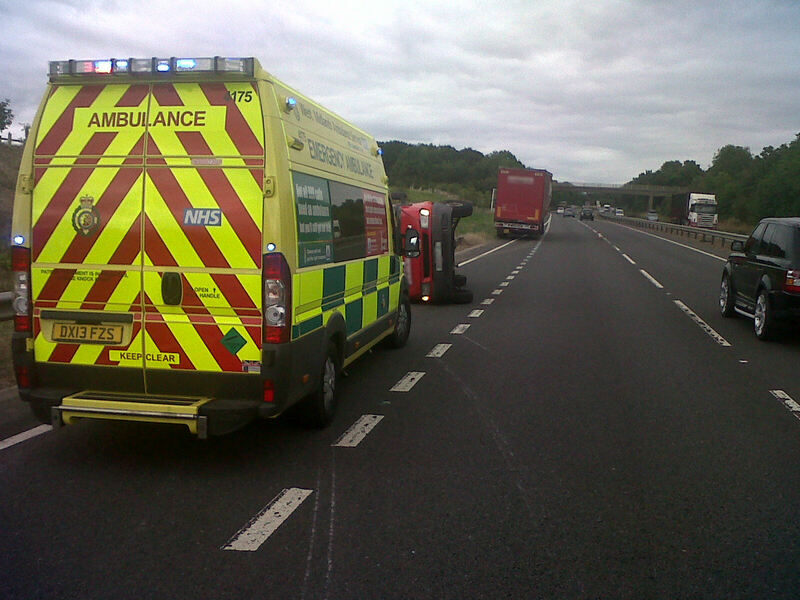 A woman has been airlifted to hospital following a collision on the M6 in Staffordshire earlier today. West Midlands Ambulance Service was called to the southbound carriageway of the M6, near junction 12 for Gailey, at around 2.30pm this afternoon (Friday). An ambulance, a responder paramedic, a paramedic area support officer and the Midlands Air Ambulance from Tatenhill airbase in Staffordshire attended the scene. A West Midlands Ambulance Service spokeswoman said: “When crews arrived they found a 22-year-old woman out of her vehicle and on the hard shoulder being cared for by an off duty hospital medic. The car she had been driving had reportedly been in collision with the central reservation. Hosted by West Midlands Ambulance Service NHS Foundation Trust and supported by the College of Paramedics the National Ambulance Patient Safety Conference is a free clinical conference for Ambulance and pre-hospital clinicians. The conference has more than 20 lectures, master classes and debates to attend on all things from Mental Health, to Trauma Management, Obstetrics and everything in between. The National Ambulance Patient Safety Conference is free to attend for NHS clinicians. CPD certification will be given and refreshments will be provided throughout the day. West Midlands Ambulance Service NHS Foundation Trust will be holding its Annual General Meeting of the Council of Governors (AGM) and Annual Members’ meeting from 6.30pm on Wednesday 11th September 2013, in the McGregor Suite, Villa Park, Birmingham B6 6HE. All members of the Trust are welcome to attend, as well as stakeholders and any interested members of the public. The event will provide an excellent opportunity to meet the Board of Directors and Governors, view presentations and hear more about WMAS. The meeting will also include a presentation of the Trust’s activities over the past year, and present the Trust’s annual report 2012-13, including Quality Accounts and financial statements which will be available on the Trust’s website following the meeting. Thursday 22nd August 2013 – 8.50am – Claire Brown. A man who ‘died’ in Wolverhampton in March has been reunited with the train station staff that saved his life this week. Husband and wife, Norman and Jean Brotherton, we’re on their way to Yorkshire for a weeks’ holiday on Saturday 30th March when they were told the train they were due to catch at Wolverhampton Train Station wasn’t running. Instead, a replacement bus service had been arranged so the couple headed to the bus station around the corner. Moments before the bus left the station, Norman stopped breathing. Fortunately for Norman, four staff from the train station who were helping passengers on-board the replacement bus knew exactly what to do. 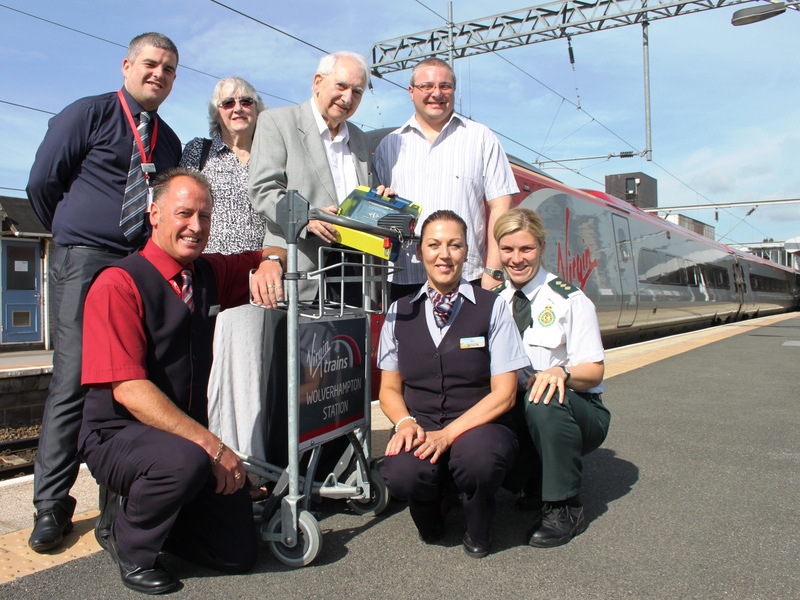 Train Station Manager, Dave Whitehouse and his three colleagues Stuart Vickers, Steve Wade and Kim Weaver-Davis jumped on board the bus to help Norman and his wife. Dave and Stuart realised Norman wasn’t breathing and didn’t have a pulse so immediately started CPR. 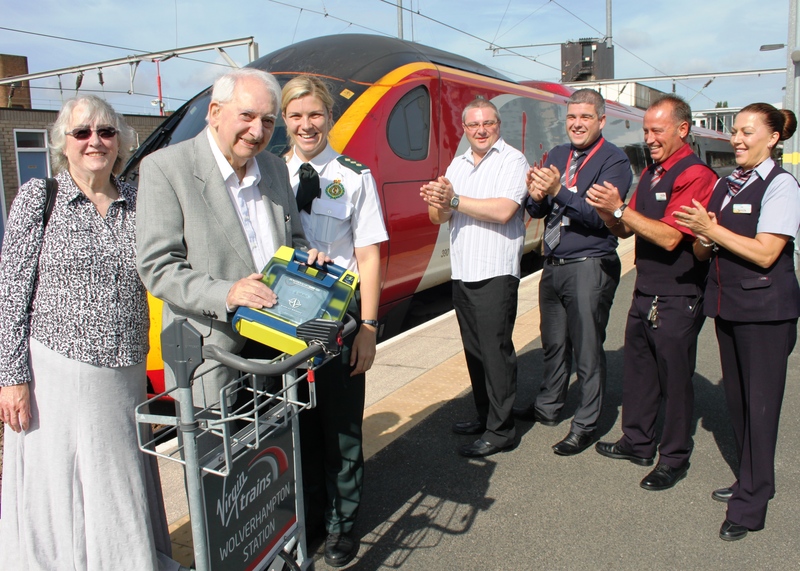 Whilst Kim reassured his wife, Steve raced to the train station to collect their defibrillator. With the defibrillator in hand (a device used to restart someone’s heart when they’ve suffered a cardiac arrest) Steve ran back to the bus to help Dave and Stuart with resuscitation efforts. When ambulance crews arrived, Norman’s heart was beating but he was still unconscious. Norman was taken by land ambulance to New Cross Hospital where he remained for 20 days. Photograph one: (Left to right back row) Dave Whitehouse, Jean Brotherton, Norman Brotherton and Stuart Vickers. (Left to right front row) Steve Wade, Kim Weaver-Davis and Emma Wilkins. If you’re interested in learning life-saving skills and want to find out more about a defibrillator for your local community group or business, please contact emma.wilkins@wmas.nhs.uk or 07884 052 285. If you already have a defibrillator that wasn’t obtained through West Midlands Ambulance Service, please contact Emma to add your defibrillator location to the Trust’s database. Wednesday 21st August 2013 – 6.45pm – Murray MacGregor. A cyclist has been taken on blue lights to hospital with a serious head injury after he was in collision with a car in Stoke on Trent. The collision happened at about 1.25pm on Rosslyn Road in the Longton area. On arrival, crews were told that the rider, a man in his 20s, had landed on the windscreen of the car. The man, who was not wearing a cycle helmet, had suffered a serious head injury. He also had a broken left leg and had suffered injuries to his other leg and both arms. His condition was stabilised before he was rushed to the major trauma centre at University Hospital North Staffordshire. He was anaesthetised shortly after arrival. A woman in the front passenger seat of the car was treated for shock but was discharged at the scene. The man driving the car was uninjured. Tuesday 20th August 2013 – 10.10pm – Murray MacGregor. A young woman has been airlifted to a major trauma centre after the car she was in was involved in a crash that left the vehicle upside down. The crash happened on the B4371 at Hope Bowdler in Shropshire at around 5.40pm on Tuesday afternoon. A rapid response vehicle was first on scene and was backed up by the Midlands Air Ambulance from Cosford and a land ambulance. A West Midlands Ambulance Service spokesman said: “On arrival, crews were told that the car had rolled over twice and ended up on its roof. People who had stopped at the scene had then apparently rolled it back onto its wheels. “The driver, who is believed to be 18 years old, had a broken arm, possible injuries to her pelvis and internally, as well as abrasions to her hands. Tuesday 20th August 2013 – 7.30pm – Steve Parry. A man has died following a road traffic collision in Quarry Bank, Brierley Hill this afternoon. West Midlands Ambulance Service was called to Thorns Road at around 3.30pm. An ambulance, together with a paramedic in a rapid response vehicle and a paramedic officer attended the scene. A West Midlands Ambulance Service spokesman said: “Crews arrived to find a pedestrian in a collision with a lorry. Monday 19th August 2013 – 3.00pm – John Hawker. A man has been injured in a single vehicle crash in Shropshire this afternoon. The crash occurred on Longford Road, Longford at around 12.10pm. An ambulance and the Midlands Air Ambulance from Cosford attended the scene. A West Midlands Ambulance Service spokesman said: “Crews arrived to find a car that had left the road and had been in collision with a tree. “The man driving the car, who was in his early sixties, is believed to have suffered a medical event whilst driving, and also suffered chest injuries. “He received emergency treatment at the scene and his condition was stabilised. The man was then extricated from the vehicle with the assistance of the fire service. He was trapped for around an hour. “The man was then airlifted to University Hospital North Staffordshire for further emergency treatment. Monday 19th August 2013 – 8.20am – Steve Parry. As of this morning, 1,385 people have been treated by on-site medical staff at V Festival at Weston Park during the weekend. Since the gates opened, on-site ambulance crews have been called out 279 times and a total of 30 people have been taken to hospital. The medical cover for the festival has been provided by a team of almost 300 staff and volunteers from West Midlands Ambulance Service, Venture Event Medical Management and St. John Ambulance. The team has been operating a medical centre on site, along with a command and control centre which co-ordinated ambulances and other medical staff who have been stationed within the main arena and in the campsite areas. Sunday 18th August 2013 – 5.15pm – Steve Parry. A motorcyclist has been airlifted to hospital following a road traffic collision in Marlbrook near Bromsgrove, earlier today. An ambulance, a paramedic officer and the Midlands Air Ambulance from Cosford were called to the incident on the Old Birmingham Road, Marlbrook at just after 2.30pm. A West Midlands Ambulance Service spokesman said: “Crew responded to a collision between a car and motorbike. “A man in his twenties was treated for a serious head injury together with abdominal and pelvic injuries. Sunday 18th August 2013 – 2.15pm – Steve Parry. A motorcyclist has been taken to hospital following a road traffic collision in Oldbury, earlier today. An ambulance was called to the junction of Causeway Green Road and Wolverhampton Road at approximately 10.50am. A West Midlands Ambulance Service spokesman said: “An ambulance crew responded to a collision between a car and motorbike in Oldbury. “A man in his thirties was treated for back pain, wrist and pelvic injuries. Sunday 18th August 2013 – 7.10am – John Hawker. The organisations are operating a medical centre and stage side first aid posts, which since the gates of Weston Park opened, has treated 828 patients. On-site ambulance crews have been called out to attend patients 173 times. A total of 15 people have been taken to hospital, they include people who have suffered injuries after falling over and also several with pre-existing medical conditions that required further treatment at hospital. A West Midlands Ambulance Service spokesman said: “Doctors, nurses, paramedics, technicians, managers, first aiders, control room staff and logistics staff are on hand to make sure that if you are unfortunate enough to fall ill, help won’t be far away. In most cases, a trip to hospital isn’t required and after treatment revellers are able to continue enjoying the event. So far, the majority of the patients have been treated for medical issues, many already had pre-existing medical conditions but crews have also seen a large number of alcohol related cases. Saturday 17th August 2013 – 7.45pm – John Hawker. 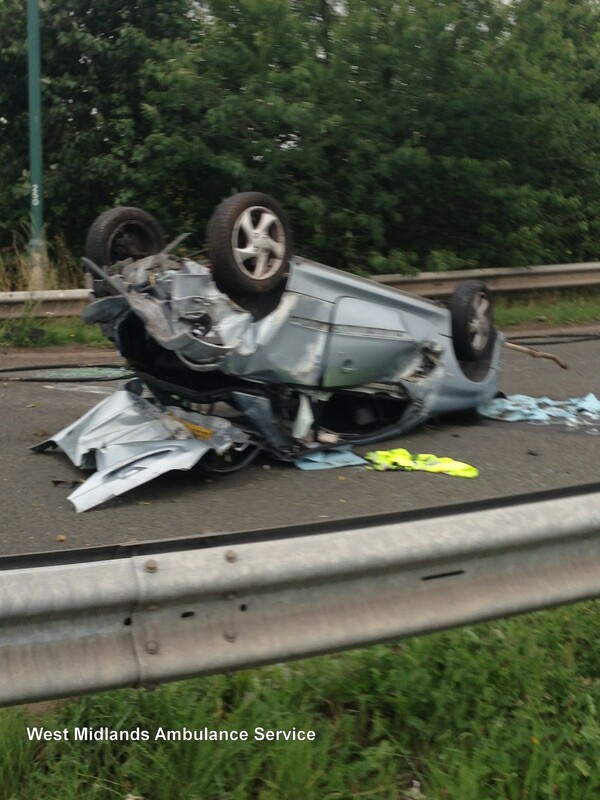 A girl has been trapped in the car she was travelling in for 90 minutes following a crash in Coventry this afternoon. The crash occurred on Dorchester Way, Walsgrave at around 3.05pm. Three ambulances, a paramedic officer and the rapid response vehicle from Warwickshire and Northamptonshire Air Ambulance attended the scene. A West Midlands Ambulance Service spokesman said: “Crews arrived to find a car that had overturned and come to rest on its roof. “A passenger in the car, a 13 year old girl suffered severe leg injuries in the crash and was trapped in the vehicle. 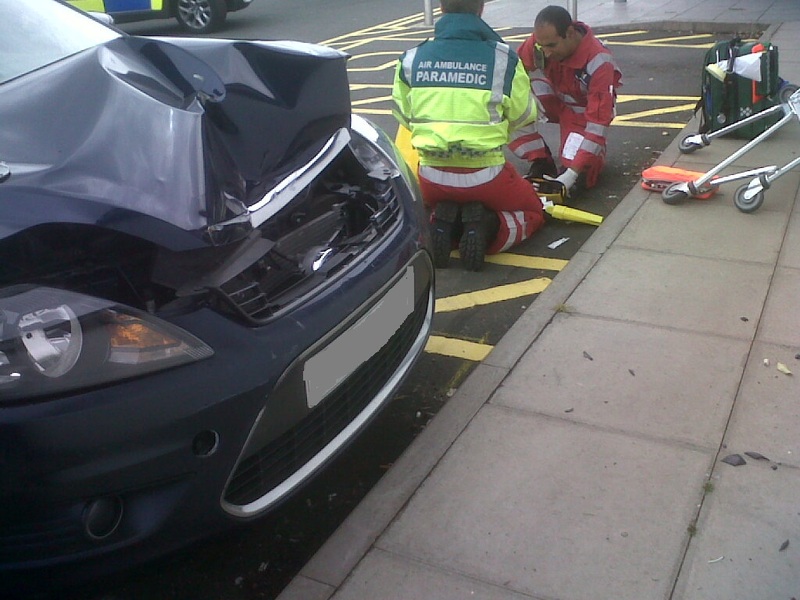 She received emergency treatment whilst in the vehicle and her condition was stabilised. She was then carefully extricated from the car with the assistance of the fire service. “Once safely removed from the car, the girl was transferred by land ambulance with the WNAA Doctor on board to University Hospital Coventry & Warwickshire Major Trauma Unit for further emergency treatment. The hospital had been pre alerted to the girls serious injuries and a trauma team were on standby. “The man driving the car, believed to be 20 years old, suffered serious leg injuries. Another passenger, a 16 year old girl, suffered wrist, shoulder and a knee injury. Saturday 17th August 2013 – 4.00pm – John Hawker. West Midlands Ambulance Service can confirm it was called to the car park of Aldi, Wellington Road, Donnington at around 9.40am this morning to reports of a child that had been in collision with a car. A paramedic officer, an ambulance and the Midlands Air Ambulance from Cosford attended the scene. A West Midlands Ambulance Service spokesman said: “Crews arrived to find a 9 year old boy that is believed to have been crushed between a car, a shopping trolley and a wall on the car park. “The boy received emergency treatment at the scene for serious injuries to both legs. He received pain relief and both legs were placed in splints. He was also immobilised using a neck collar and spinal board. 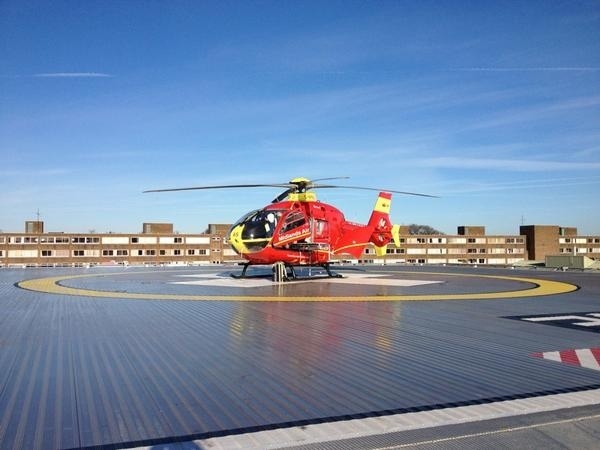 “The boy was airlifted to University Hospital North Staffordshire Major Trauma Unit for further emergency treatment. The hospital had been pre alerted to the child’s injuries and his imminent arrival. “The driver of the car, a woman believed to be in her 50’s, was uninjured but extremely distressed. She was cared for by ambulance crews but did not require further treatment. Saturday 17th August 2013 – 7.15am – John Hawker. “So far, 238 people have been treated at the on-site medical centre collectively by St. John Ambulance volunteers and West Midlands Ambulance Service staff. One of the patients was a female camper who had a tent peg go through her foot. 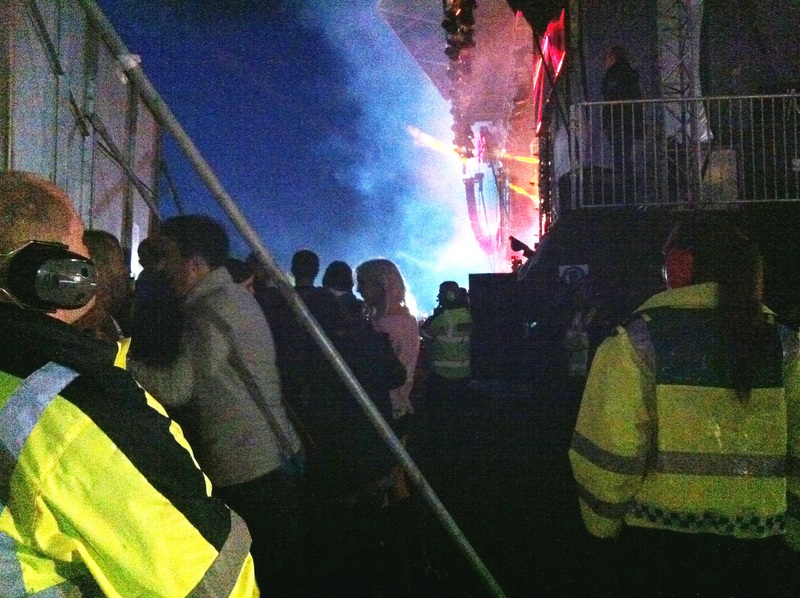 The woman received emergency treatment in the medical centre and was able to stay onsite and continue to enjoy the festival. “On-site ambulance crews around Weston Park tended to a further 38 patients with only four patients requiring hospital treatment, one of which was a man with a burnt foot. The other three patients were medical cases with the patient requiring further hospital treatment. Friday 16th August 2013 – 4.30pm – Steve Parry. A pedestrian has been taken to hospital following a road traffic collision in Wollaston this afternoon. The incident occurred in Bridgnorth Road, just before 2.50pm. An ambulance, together with two paramedics in rapid response vehicles, a paramedic officer and the Midlands Air Ambulance from Cosford attended the scene. A West Midlands Ambulance Service spokesman said: “An Ambulance crew was flagged down by a member of the public after a pedestrian was in collision with a car. “A man, believed to be in his eighties, was treated for lower back pain together with minor cuts and abrasions. Friday 16th August 2013 – 11.30am – Steve Parry. 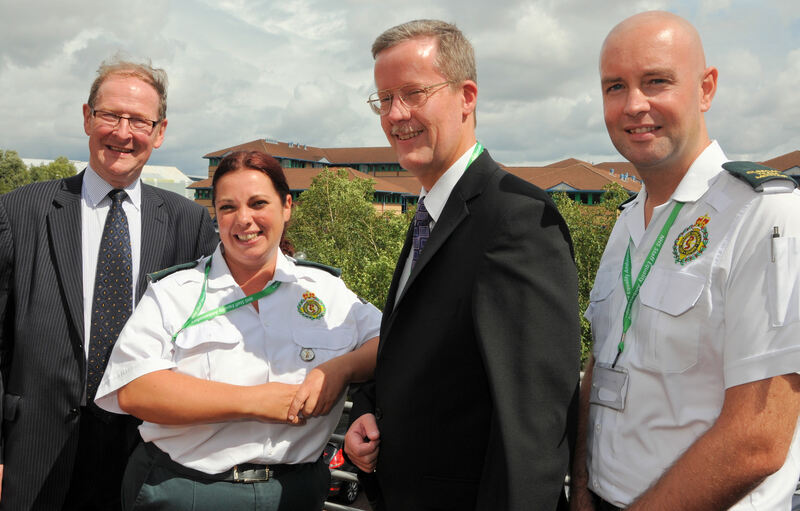 West Midlands Ambulance Service has unveiled its Staff Equality Ambassadors at a launch organised at the Waterfront Business Park in Brierley Hill yesterday. The Trust is developing its services around the needs and preferences of patients and aims to eliminate inequalities in both patient experience and health outcomes. The support of over twenty staff ambassadors will further enhance the Trust’s equality and diversity ambitions. The launch was also attended by Dr Habib Naqvi Senior Equality Manager, NHS England. Yvonne Coghill, Inclusion Lead NHS Leadership Academy was also a guest speaker at the event, and provided an inspirational speech to the Ambassadors. 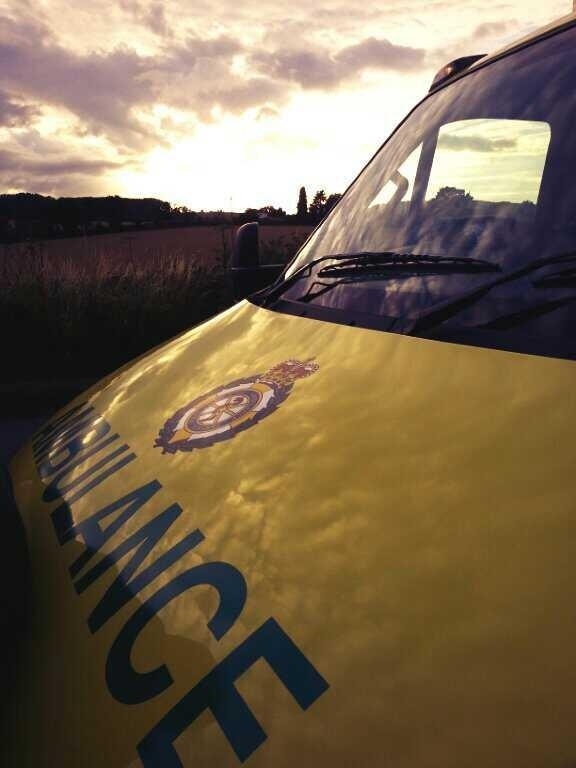 WMAS attended 15 road collisions within 3 hours this morning. Please drive carefully. Friday 16th August 2013 – 10.40am – Steve Parry. A pedestrian has been taken to hospital following a road traffic collision in Bushbury, Wolverhampton this morning. The incident occurred on the A449, Bushbury Road near the junction with the M54 at 8.50am. An ambulance, together with a paramedic officer, a paramedic in a rapid response vehicle, and the Midlands Air Ambulance from Cosford attended the scene. A West Midlands Ambulance Service spokesman said: “Crews arrived to find a pedestrian had been in collision with a lorry. “A man in his twenties was treated for a pelvic injury. Challenging road conditions this morning. Allow additional time for your journey. Thursday 15th August 2013 – 7.30am – John Hawker. Two men have died following an RTC in West Bromwich last night. The crash occurred on Park Lane just after 10.00pm. Three ambulances and a paramedic officer attended the scene. A West Midlands Ambulance Service spokesman said: “Crews arrived to find a car that had rolled over and come to rest on its roof. “The two men who were travelling in the car were both ejected from the vehicle. “Unfortunately, it quickly became apparent that nothing could be done to save one man and he was confirmed dead at the scene. “Resuscitation attempts were carried out on the second man who was in traumatic cardiac arrest and these continued en route to Sandwell hospital. “The hospital had been pre alerted to the man’s arrival and his serious injuries. Wednesday 14th August 2013 – 8.30am – John Hawker. West Midlands Ambulance Service can confirm it was called to Howe Green Lane, near to where it meets Windmill Lane, Fillongley, at around 10pm last night to reports of a serious RTC. A rapid response vehicle, an ambulance, a paramedic officer and a BASICS Doctor attended the scene. A West Midlands Ambulance Service spokesman said: “Crews arrived to find a motorcyclist in traumatic cardiac arrest. The man was receiving CPR from passers-by who had called 999. “Ambulance crews took over resuscitation attempts and advanced life support was carried out. Tuesday 13th August 2013 – 3pm – Steve Parry. A child has been taken to hospital following a collision between two vehicles in Sparkhill this afternoon. West Midlands Ambulance Service was called to the junction of Stratford Road and Walford Road just before 1.30pm. Two ambulances, a paramedic in a rapid response vehicle and a paramedic officer attended the scene. 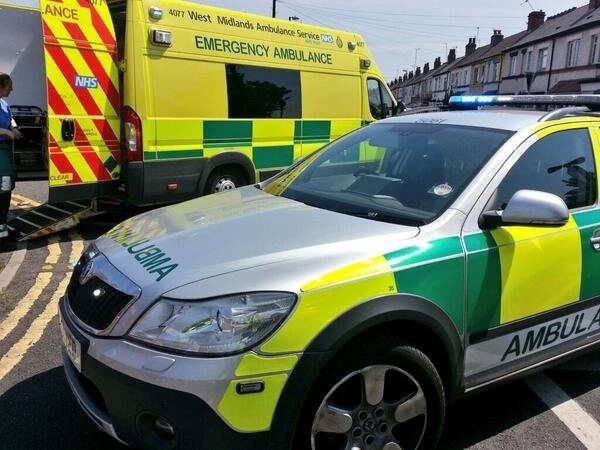 A West Midlands Ambulance Service spokesman said: “Crews responded to the scene after a two car collision resulted in one of the vehicles reportedly mounting the pavement and colliding with a child. “A six year old male was treated for a fractured leg. 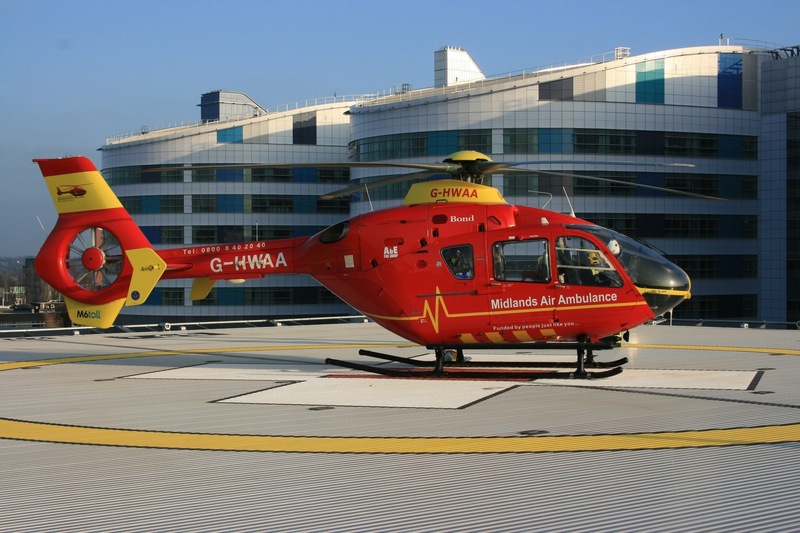 “The patient was immobilised with the use of a splint, neck collar and placed on a spinal board as a precaution before being taken to Birmingham Children’s Hospital. “A mother and child travelling in one of the cars were treated at the scene and taken to the City Hospital for further assessment. Tuesday 13th August 2013 – 8.00am – Suzie Fothergill. 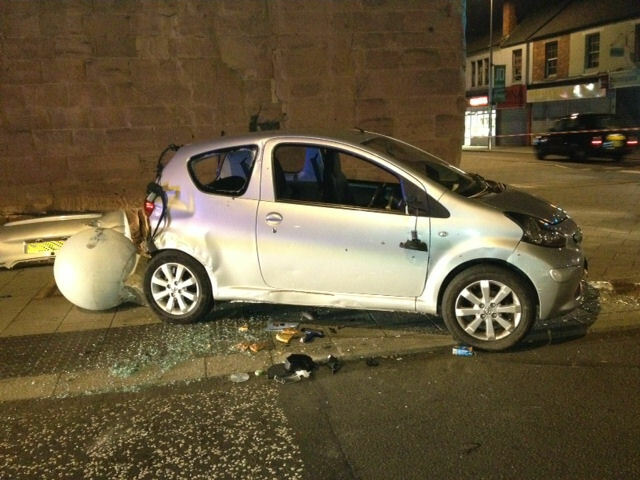 Three people have been injured following a road traffic collision in Walsall today. West Midlands Ambulance Service was called to the junction of Station Street and Bridgeman Street in Pleck at approximately 12:35am this morning. Three ambulances and a paramedic area support officer in a rapid response vehicle were dispatched to the scene. A West Midlands Ambulance Service spokeswoman said: “Crews were called to reports of a car and a van that had been in collision. On arrival at the scene crews found the car had also been in collision with a lamppost. “All occupants were out of both of the vehicles on the crew’s arrival. “The driver of the car, a man, was treated for a fractured leg. The front seat passenger, a woman, was treated for minor injuries and the rear seat passenger, a man, was treated for a potential pelvic injury. “All three casualties, believed to be in their early 20’s, were fully immobilised and conveyed to Walsall Manor for further assessment and treatment. A boy has been taken to hospital following a collision on the M6 today. 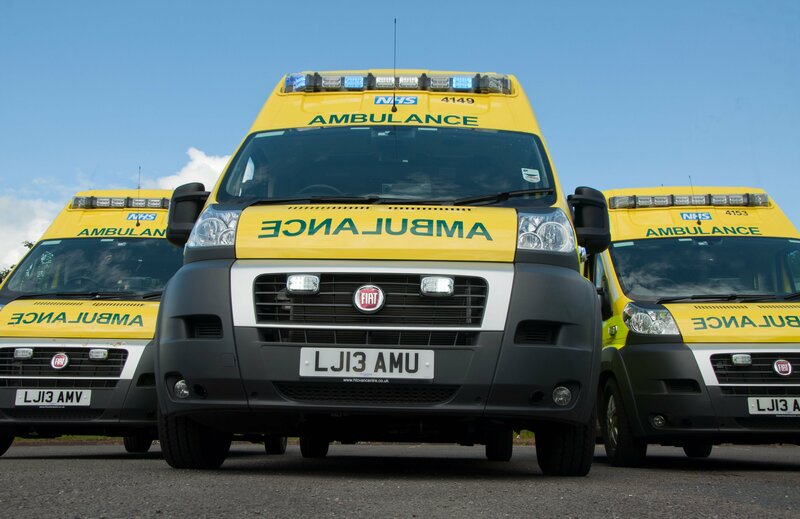 West Midlands Ambulance Service was called to the southbound carriageway of the M6 between junctions 6-5 at approximately 12.25am this morning. A West Midlands Ambulance Service spokeswoman said: “Crews were called to reports of a lorry and a camper van that had been in collision. “On arrival at the scene crews found the camper van on its side. Fortunately the eight occupants (3 adults and 5 children) who had been travelling in the van at the time of the incident had managed to get out of the vehicle via a side window. “All the occupants were assessed at the scene. An 11 year old boy was found to have a fractured arm. The boy was treated at the scene and conveyed to Birmingham Children’s Hospital for further assessment and treatment. Monday 12th August – 1.45pm – Suzie Fothergill. Final preparations are being made ahead of this weekend’s V Festival at Weston Park to ensure first class medical services are available for thousands of festival goers, should they need them. The annual festival is expecting to see an estimated 90,000 people attend the event each day, with the vast majority of them camping out throughout the weekend. As the wall to wall sunshine appears to have subsided over the past few weeks, festival goers are being advised to come prepared for unpredictable weather and are urged to pack their wellies, as well as their sun cream. West Midlands Ambulance Service (WMAS) and St John Ambulance will once again be working in conjunction with Venture Event Medical Management to ensure that should anyone unfortunately become ill or injured during the event that first aiders and clinicians are on hand to provide treatment. On site throughout the weekend there will be there will be almost 300 medical staff and volunteers, including doctors, nurses, paramedics, technicians, first aiders, control room staff and logistics staff, making it one of the safest festivals in the country. A number of designated medical posts have been set up within the park alongside a dedicated command and control centre which will be staffed by call takers and dispatchers who will co-ordinate ambulances and other medical staff on the ground to unwell patients as quickly as possible. Medical teams will be deploying a number of specialist vehicles, which will help staff gain access to any tricky locations, these include utilising WMAS’ 6×6 all-terrain vehicle, which is fitted with a specialist stretcher and equipment, as well as a number of 4×4 vehicles, ambulances and push bikes. 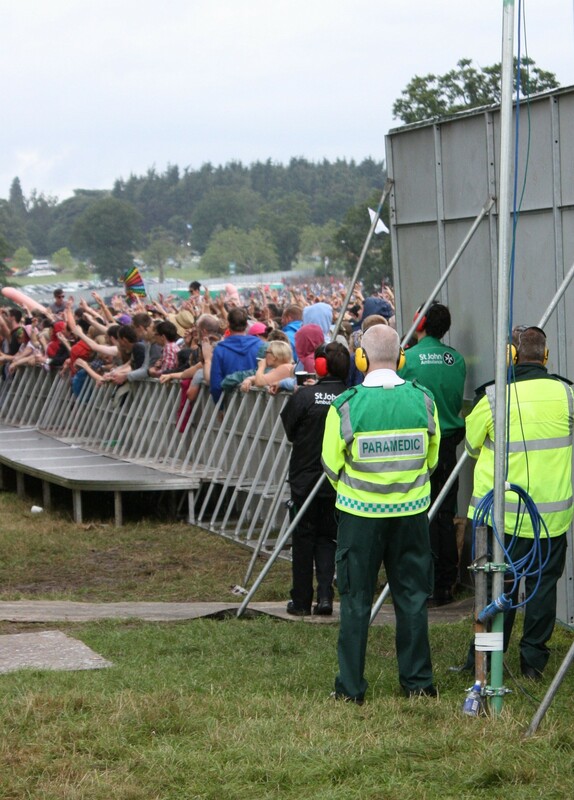 Steve Wheaton, WMAS Assistant Chief Ambulance Officer said: “V Festival is a fun, good natured event and overall has a history of being very safe. “Should anyone need our help, the self-contained medical centre is equipped to deal with all types of injuries, meaning the festival goers can avoid further trips to hospital A&E’s and continue to enjoy the music. However each year, the medical team will see couple of people who have over-indulged or become injured on their first night camping resulting in them having to leave the festival before the main event has even begun. “We urge festival goers to take a few simple measures to ensure that they have the best time possible and see their favourite band rather than us in the medical centre. 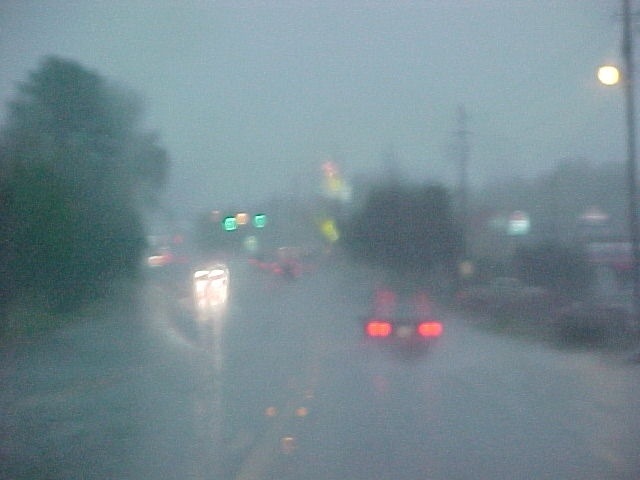 “Over the years I have encountered huge variations in the weather at these events. Savvy festival goers will bring their wellies and sensible footwear to help avoid any unnecessary slips and falls, as well as sun cream and a hat should the sun decide to shine over the park during the weekend. “If you have a known pre-existing medical condition, please don’t forget to pack your medication and remember to take it as instructed by your GP. Also remember to make your friends aware of any medication you are taking. “It is important that people are sensible with their intake of alcohol and to pace themselves. I would also advise people to drink plenty of water and soft drinks to avoid dehydration and please remember to eat regularly. 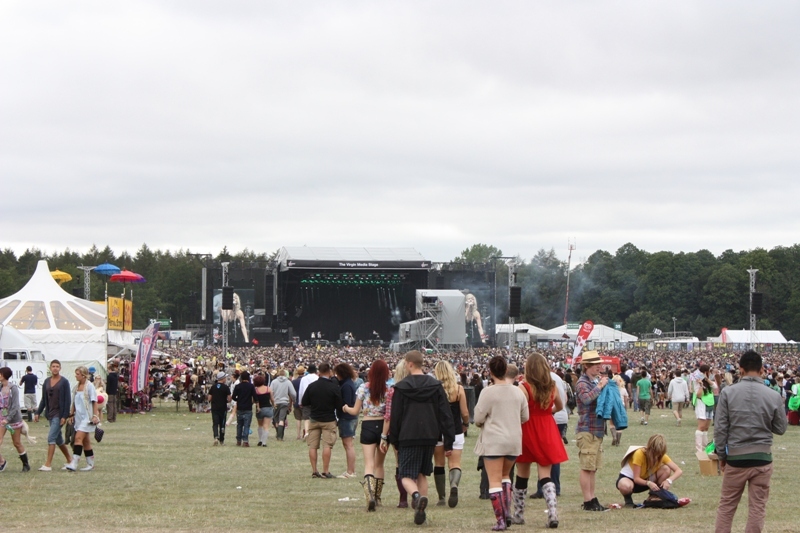 Glen Curry, Regional Events Manager for St John Ambulance, said: “V Festival is one of the biggest first aid operations in the West Midlands for St John Ambulance and we will be providing a 180-strong team of healthcare professionals, ambulance crews, first aiders and support staff at this year’s event. “As well as manning numerous medical posts, we will also be providing a number of response and cycle teams. These teams will carry specialist equipment enabling them to quickly treat and extricate patients from the crowds or difficult locations, should the need arise. Last year the medical team treated in the region of 1300 people, with only 25 of these people requiring further hospital treatment. Both of these figures were lower than the previous year’s total, which is an overall testament for how safe V festival is and the professionalism and skills of the onsite medical teams. Monday 12th August 2013 – 8am – Steve Parry. The incident occurred in Bridgnorth Road, Wollaston, Stourbridge at just after 1.30am. An ambulance, together with a paramedic in a rapid response vehicle, a paramedic officer and the Medical Emergency Response Incident Team (MERIT) attended the scene. A West Midlands Ambulance Service spokesman said: “Crews arrived to find a man impaled on a metal fence. “Part of the fence was cut away before the man, believed to be in his thirties, was treated by ambulance staff for an injury to his thigh.